The year is 2017 and these days everyone plays in traffic… Be it social media, music sites or news blogs. We all walk around with super computers in our pockets and the minute we estimate we have enough time to log on, browse and consume, we hit these streets hard. Skill dropped a lot of knowledge in that interview and we couldn’t agree with him more, we share his sentiments on artist and websites. When we started The Blacksmithed, mid 2015, music was being distributed by a file sharing site that didn’t offer any incite to who the artist is. There were a bunch of links floating around and all of them looked the same. They were like lucky packets, you never knew what you would get inside but that was the game back then. We came a long way from that file sharing site. It’s encouraging to see a rise in artist sites. These are the sites that we, at The Blacksmithed, have on our radar. 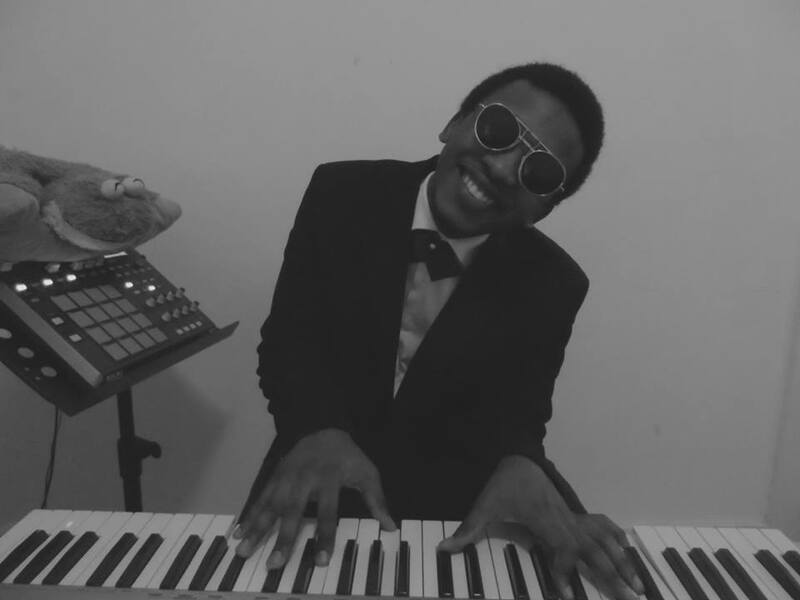 SilasBeats, a producer from EL currently based in PTA, has managed to build his site around providing useful information in form of blogs for artist and producers. He also handles his business on his site, he has a store that he uses to sell his beats. Silas has always shared his blueprint with the masses, this is the one thing that has made his site addictive. 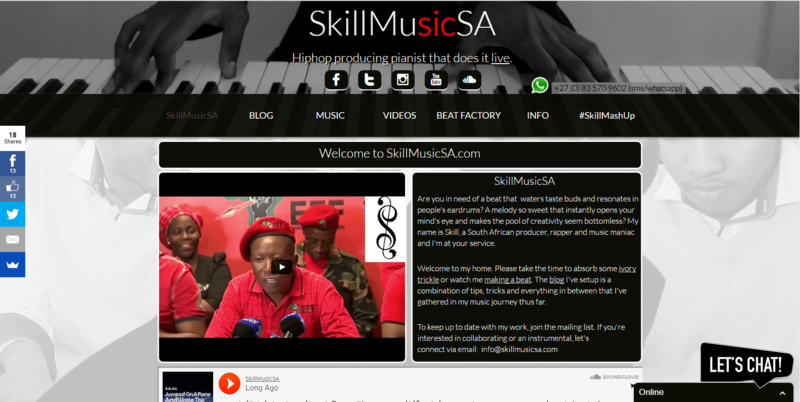 There is a lot to learn about the SA music industry but there is not to many sources that is SA specific. You gain a lot from this site just by being there. Similar to his colleague, Silas, Skill’s site is built around the same concept of providing useful information for up and coming artist in the form of a blog. 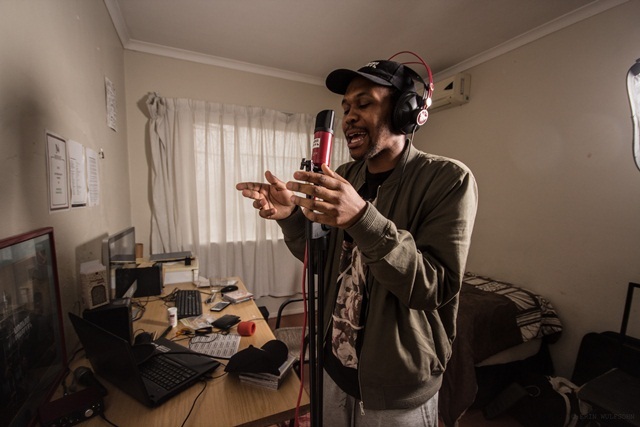 He is an artist/producer from EL who is now based in PE, his site is where you can find all his music and beats. What has set Skill apart is his hilarious videos, where he chops up politicians speeches and makes beats with those adlibs, the beats are fire. These videos can be found on his site too. ByLwansta, an artist from Kokstad currently based in Durban, launched his site mid 2016 and rightfully so because if you have the pleasure of following him on his social media you would know that Lwansta has the ability of incredible story telling and he documents his journey like no other artist out here. Lwansta’s moves, in our opinion, embodies what an independent artist should be like. His consistent documentation allows us to watch and learn. 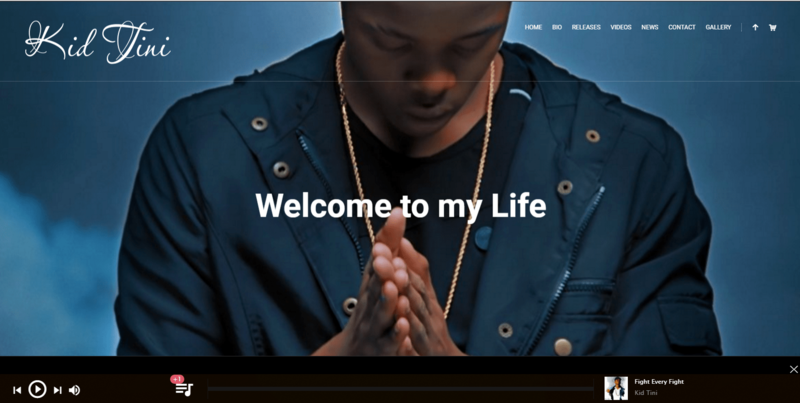 On his site Lwansta shares his experiences, music and videos. His site provides shortcuts to his Tumbler, SoundCloud and YouTube accounts. Kid Tini, from Butterworth currently based in PTA, is an artist signed to Tinism.com. 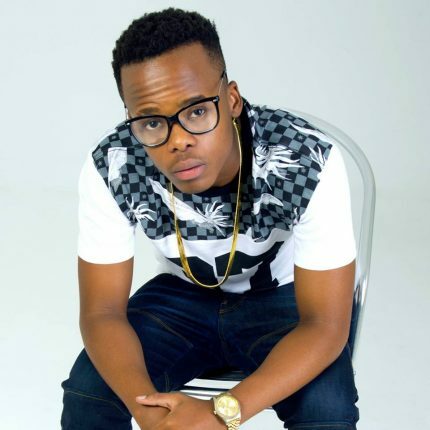 Early this year Kid Tini announced on his social media accounts “www.kidtini.co.za is where my next song will be”. The day he dropped ‘Lawd HamMercy’ we went over to the stie to check out his new space online and we were impressed by it. This is where you can expect to find his new and old music, videos and interviews. In closing, we would like to give props to these artist pioneering a new way to package, market and push their products/services. Websites are a lot of work in terms of getting content. You soon learn that content is KING. We enjoy watching the innovative ways these artist have managed to keep the conversation going with their audience. We would like to encourage everyone to take some time out and visit these sites. Be inspired!